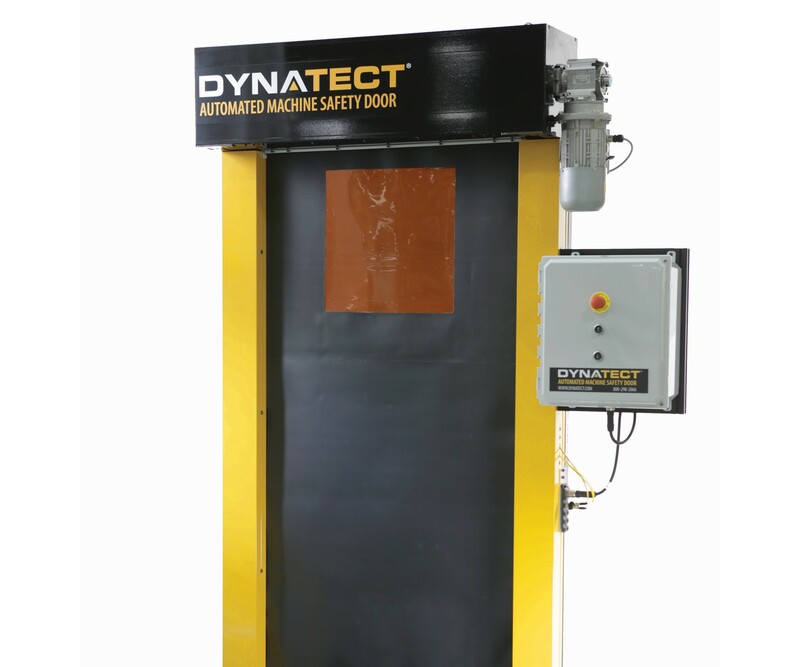 Find Exhibitors: / Dynatect Manufacturing, Inc.
Dynatect provides engineering and manufacturing for custom applications which improve human-machine safety and machine uptime. Product lines include: bellows, way covers and wipers, roll-up doors, automated machine doors, machine guarding, ball screws, and slip clutches. Here's a chance to quickly learn about a new product and win a prize. Learn about the latest innovations in cable carrier technology, then participate in our trivia at the end to win a prize (name will be drawn if there is a tie for the most correct answers). Cable carriers prevent sagging and tangling that leads to damage of cables and hoses. Do you have equipment that travels 20 to 300 feet? Now there’s two new solutions that eliminate the typical gliding plastic carrier in a guide trough along with its associated challenges and offer lower total cost of ownership. Come to our booth for a quick learning session on long travel cable carrier applications, two new solutions that challenge the current status quo. Sessions are Wednesday, 9:30 am and 2:30 pm. Here's a chance to quickly learn about a new product and win a prize. Brush up on your automated machine guarding knowledge then participate in our trivia at the end to win a prize (name will be drawn if there is a tie for the most correct answers). Do you have hazardous processes that need to remain isolated but require frequent access for loading/unloading? Robotic welding, machining, and even shrink-wrapping stations are dangerous without safeguards. Automated barriers make it possible to increase productivity without compromising safety. Come to our booth for a quick learning session on machine safety doors, a solution that combines speed, a physical barrier, and safety technology. Sessions are Tuesday, 9:30 am and 2:30 pm. Here's a chance to quickly learn about a new product and win a prize. Learn about the latest innovations in cable carrier technology, then participate in our trivia at the end to win a prize (name will be drawn if there is a tie for the most correct answers). Do your machines use precision ball screws? Ball screw repair and replacement options are crucial to managing the uptime of machine tools and ensuring mission-critical machines are back online faster. Repair costs are typically half the cost of new ball screw and many can be restored to like new condition with a warranty. A full-service manufacturer can ensure you have replacement options for all machine makes and models, no matter the age. Come to our booth for a quick learning session on precision ground ball screw manufacturing and repair options to learn all the options available to keep your machines running smoothly. Sessions are Thursday, 9:30 am and 2:30 pm.